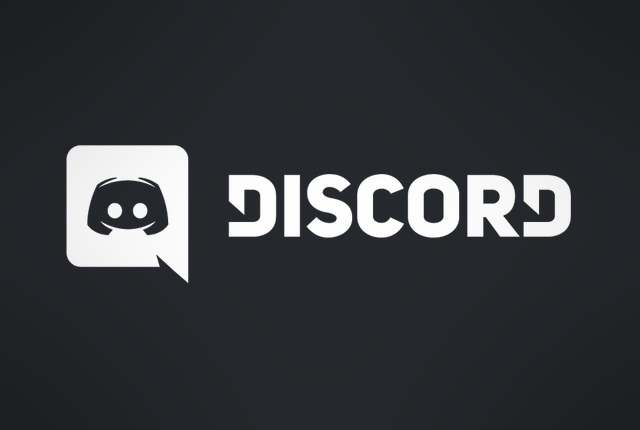 Voice and text chat service Discord recently launched a server region in South Africa. Discord is a free service aimed at gamers that lets you create virtual “servers” in which you can host several voice and text chat channels. 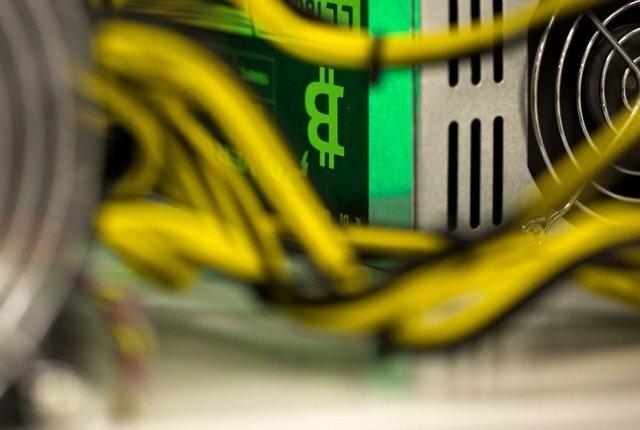 Given the appropriate invitation link, users of the platform may join a server and participate in any of the chat rooms created – or join a voice chat channel if the server has one. 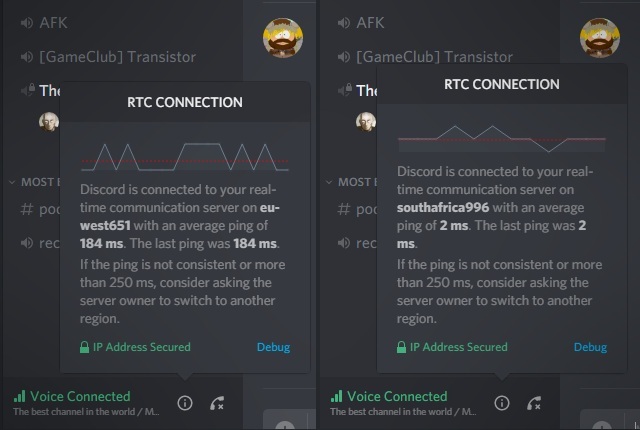 South African servers mean that Discord users from South Africa will see a dramatic reduction in latency when using the platform. Latency, or ping, is the time it takes for packets of data to travel from a client’s computer, to a server, and back again. NetBeez states that at latencies of around 100 milliseconds (ms), voice chat participants start talking over each other. This was previously evident in channels on Discord. Before it launched local servers, the nearest Discord regions to South Africa were Western and Central Europe. These offered voice communication latencies of between 180ms and 250ms, depending on whether you used fibre, ADSL, or wireless technologies to connect. Using an Ethernet cable to connect a computer to your router, rather than Wi-Fi, may also offer faster and more stable latencies. Switching to the South African region, however, reduces ping to between 1ms and 50ms – depending on the type of Internet connection. This represents a massive improvement in latency, which will improve the quality of Discord’s voice communications for local clients. 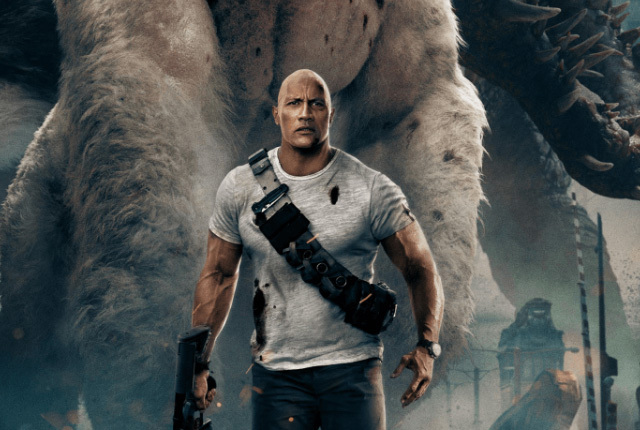 Based on NetBeez’s report, the lower latency may not improve the crispness of the audio, but it will reduce the tendency of voice chat participants to speak over one another. The local server region may also reduce the variation in ping from clients, and reduce instances of choppy audio and other temporary glitches. 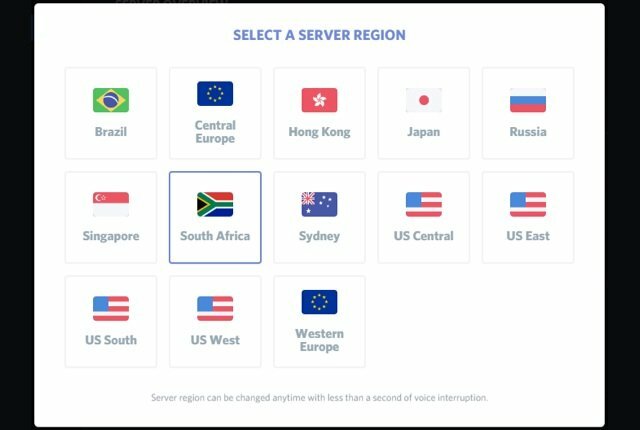 Screenshots of Discord’s South African servers in action are included below.